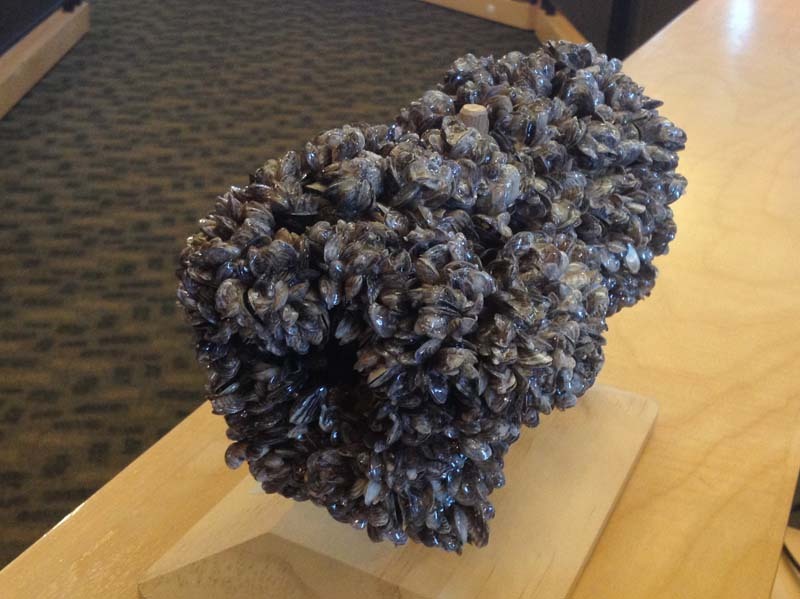 Chestermere, AB – As seven high risk boats were identified in Alberta as potentially carrying invasive mussels on the May long weekend, the City of Chestermere is well aware of the high risk posed by aquatic invasive species. With almost 3000 boats launched last year and Calgary’s closest boating lake, Chestermere is determined to protect its waters from this threat. Aquatic Invasive Species are plants and animals (mussels) that can infest bodies of water and once established, they can damage pumps and irrigation systems, clog boat props, and interfere with recreational use. These species have already infested many lakes in North America and are almost impossible to remove. They are transported on boats and boating equipment and can survive for up to 30 days outside of water. On May 29, the City received a cheque of $10,000 from RBC’s Blue Water Project to promote public education regarding mussels. 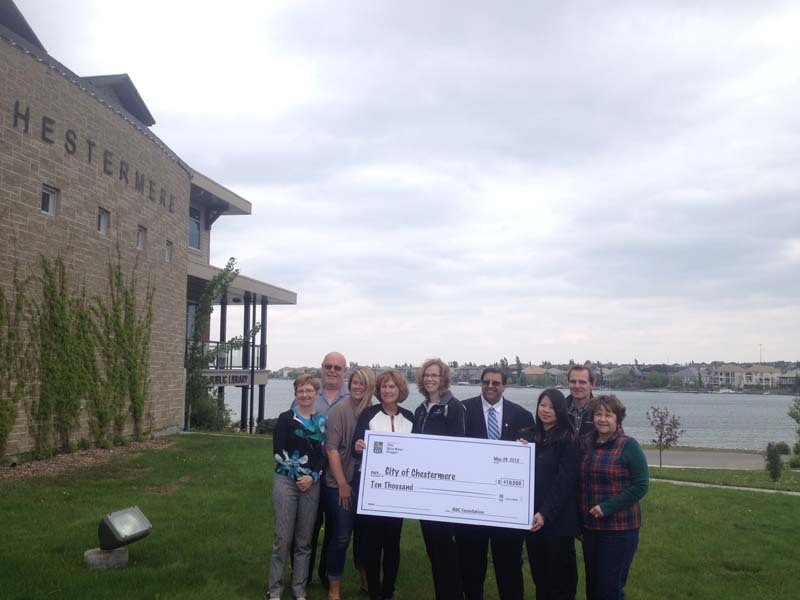 In addition to participating in the provincial ‘Clean-Drain-Dry’ campaign, the funds will help Chestermere undertake several public education initiatives to improve awareness about the threat of aquatic invasive species. Following RBC’s cheque presentation, watercraft inspection training was provided to City staff, residents, and interested participants in partnership with Environment and Sustainable Resource Development (ESRD) and the Western Irrigation District. In addition to hosting training, the City is monitoring boats launched in Chestermere, offering public education seminars, and raising awareness at various events throughout the summer. To learn more about Chestermere’s plans for preventing aquatic invasive species from entering Chestermere Lake visit www.chestermere.ca/ais. To report any suspicious species please call the Provincial 24/7 hotline – 1-855-336-BOAT (2628).